Your decision to start learning to paint with watercolors has turned into quite a project. You have lots of excitement about the venture and you have a long list of supplies that you must buy. Among the most important supplies are paints and brushes. Since you are just starting out you don’t have to buy every single paintbrush there is. 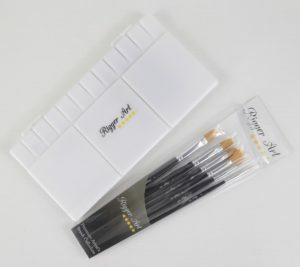 You do want to have a good assortment of brushes so you can learn as many techniques as possible and so that you have a wide array of brushes ready in case your inspiration to paint a portrait turns into a still life instead. The basic brushes you should get can be made of natural bristles or synthetic ones. That choice is up to you. If you are not sure that you are going to stick with painting for long, you might invest in synthetics since they are the least expensive of the two. If you are going all-out on your supply list, you can invest in sable brushes which are the most expensive, high-quality natural bristle brushes available. Before you buy your paintbrushes, you can consult with your art teacher or instructor for advice on exactly what to get if you only want to get the bare minimum. You will generally want to have one round brushes, an angled flat brush, a large flat brush, one or two Filberts and a fan brush. Fan brushes are used later on in lessons as there is a specific technique you will learn before you master its use, but you can have one on hand just to be ready. When you being using masking fluid you also want to have a special brush to apply it to your canvas. This can be an old brush or you can buy a special silicone brush which is made just for applying masking fluid. If you make a mistake during your watercolor lessons – and even the masters make them from time to time – you may also want to have an extra brush for removing those mistakes. You can either find another old, stiff brush for this purpose. Or, you could buy an inexpensive round brush and cut the bristles down to help make them as stiff as possible. 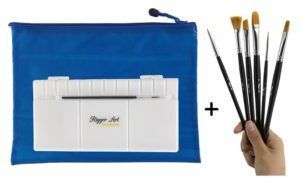 If you are a beginner to watercolors, you would like to have the Rigger Art painter’s kit, which includes six well balanced brushes, a large palette and a mesh bag to carry all you paper and tubes with you. 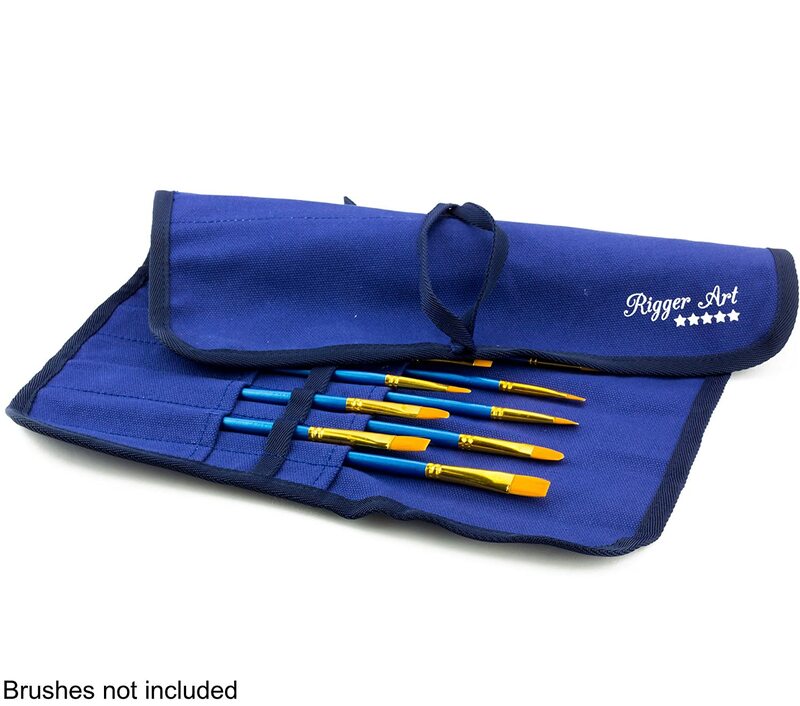 This is bundle offer is a great way to take your art supplies to class or workshop, or to paint outside in plein air. Click here to check and see the best offer and discounts for the painters kit. Your art instructor or teacher can guide you more on buying essential beginner’s brushes. You can always add new brushes to your collection as you progress. Make sure to check the bundle offer and see how it fits your needs. This entry was posted in Painting Brushes, Videos and tagged Acrylic Brushes, PaintBrush Shapes, Paintbrushes Set, painting brushes, Rigger Art Brushes, watercolor brushes by RiggerArts. Bookmark the permalink. Are Synthetic Brushes Good for Watercolor? http://riggerarts.com is a participant in the Amazon Services LLC Associates Program, an affiliate advertising program designed to provide a means for sites to earn advertising fees by advertising and linking to amazon.com. Copyright © 2019 Rigger Arts and Supplies. All Rights Reserved.